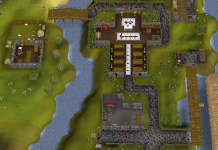 Home Community News Client Update/Raid Overhaul! Fixed a bug with the Party System. Fixed a bug with the Music Player. Fixed a bug with the Party System not properly swapping leaders on logout. Fixed a bug with the EP system and mob drops. Fixed a bug with transferring the Double EXP Ring to another player. 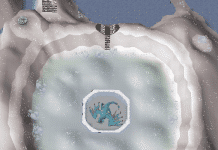 Fixed a bug with some mobs not triggering the PVM alert system. Fixed a bug with the Fruit Tree patches. Fixed a bug with the Dwarf Cannon. Fixed a visual bug with the Event Chest. Fixed a bug with not being able to gamble the Fire Cape(i). Fixed a bug with Inferno’s jumping. Adjusted the login menu to include a way to enable/disable the Music. Autochat will no longer spam your chatbox. Yelling and talking in clanchat will now properly format the text like it would if you’re talking with general chat. 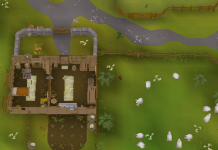 Adjusted the wilderness levels to be properly aligned with OSRS. Added CTRL+H as an opt-in hotkey alias for ::home. To enable it you’ll have to go into the misc settings in the client. All event chest rewards will be announced regardless of their value. Adjusted the Crystal Chest reward table by moving Barrows over to Rare from Uncommon. The Music System will now automatically detect when a song has ended and it will attempt to play a brand new one relative to where you are in the game and what action you’re doing. Completely rewrote the Raid System from the ground up. The new raid system will now allow you to leave and rejoin the raid with ease as long as the raid isn’t locked. A raid will become locked 30 seconds after a raid room gets opened for the first time. A raid will become unlocked once everyone’s reached the lobby by killing all the NPCs. You can invite someone any time to join your raid, they just won’t be able to join until it’s unlocked. A party leader can no longer destroy everyone’s raid instance, instead the only way to end a raid is by leaving it yourself or by dying. Leaving a party will no longer disband your raid. Entering the lobby portal will now give you dialogue instead of just directly teleporting. Everyone will get a reward as long as they have done a minimum of 500 damage during the raid. You can leave, disconnect, logout and it will save your raid progress as long as someone else is active.